hitting the pavement, powered by plants. As a motor vehicle-less city dweller, my opportunities to run on wooded trails are limited by circumstance. I fell in love with racing on trails at the VERT Middlesex Fells Trail Running Festival last September and have been eager to give trail racing another go at the 5th annual VERT Sasquatch Sprint Trail Race this July. 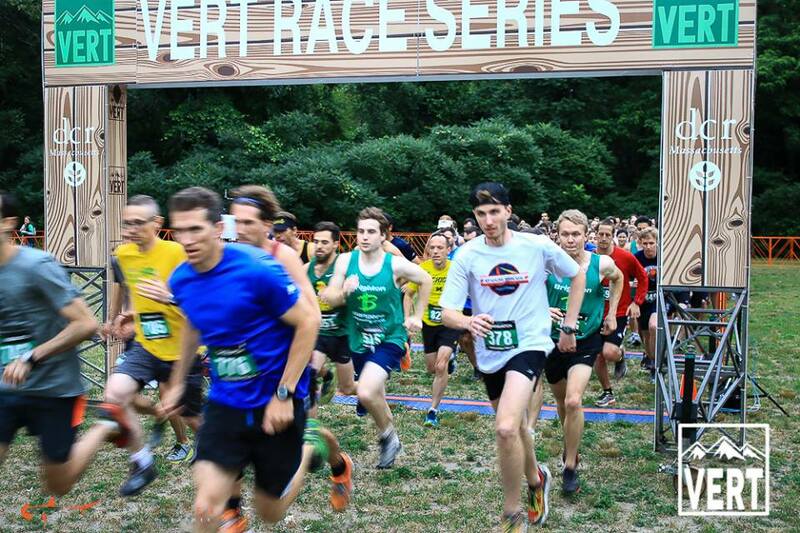 The VERT race series is put on by the folks at Cambridge 5K. It aims to give runners an opportunity to run on trails that are accessible by public transportation. For me, participating in the series has been a great entry point into the world of trail running. Now I've got the itch to do more trail running and am on the hunt for local trails that can be easily reached by city folk. Sasquatch is a 2.35 mile "sprint" trail race that takes place in the Whip Hill section of the DCR Middlesex Fells. This year the race was held on a Saturday at 7:00 pm. An evening race on trails, yahoo! I borrowed my sister's car and drove up from Cambridge to the Stone Zoo in Medford on my own. I arrived nearly an hour early for the race. 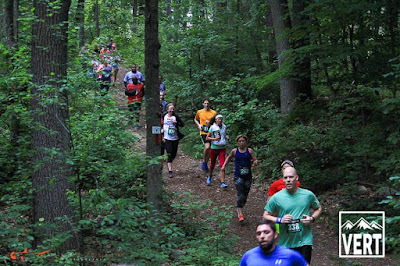 Feeling unsure about running a short, fast race on trails, I decided to do what any neurotic runner would. I ran the entire course as a warm up. After five minutes spent taking ginger please-don't-twist-an-ankle steps, I relaxed and began to trust my feet and legs to keep me upright. It was easy to become absorbed in the sensory experience of the wooded trail and I found myself wholly enjoying the alone time, which was over before I knew it. I arrived back to the parking/start area feeling excited to get racing. To ease course congestion in the race, runners are released in three self-seeded waves at five minute intervals. I positioned myself in the first wave. Hopping up and down, I exchanged nervous words of encouragement with other runners before the starting horn blasted. The course begins with a left turn out of Greenwood Park onto Pond Street. The first half mile of the course runs along the street, a feature which helped to spread the field of runners. We made a sharp left onto Crystal Springs path and into the dusky, gray woods. Almost immediately, the path ascended a short, steep climb before the leveling off in the woods. It was a little bit dark and a lot exciting. 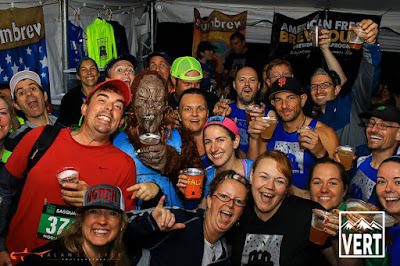 Bolstered by the new confidence of familiarity with the course and unencumbered by the weight of instinctual self-preservation, I attacked the flat portion of the course and narrowed my eyes to pick off runners as I charged up the second hill. On the steep downhill section in the final kilometer of the race, I took note of some runners tensing their shoulders, leaning slightly back and tucking their arms as if to brace against gravity. I went with the opposite approach, leaning forward from the hips and allowing my limbs to flail loosely as I hurled myself downward. Looks ridiculous, but feels like flying! At the bottom of the hill, we emerged back into the park, where we ran one last half lap around a small field to the finish line. 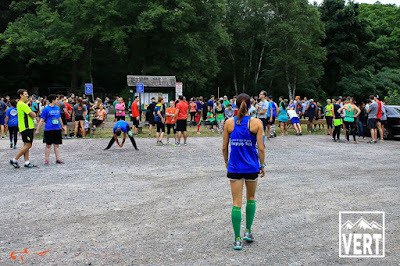 I really liked this ending because suddenly I could see all the runners ahead of and behind me and there was a little bit of flat space to sprint. In the end, I finished 56th overall and 4th among women with a net time of 16:17. No "Top 3" prize, but I'll keep working toward it! Epic after party performance by the Happy Soles, as per usual. 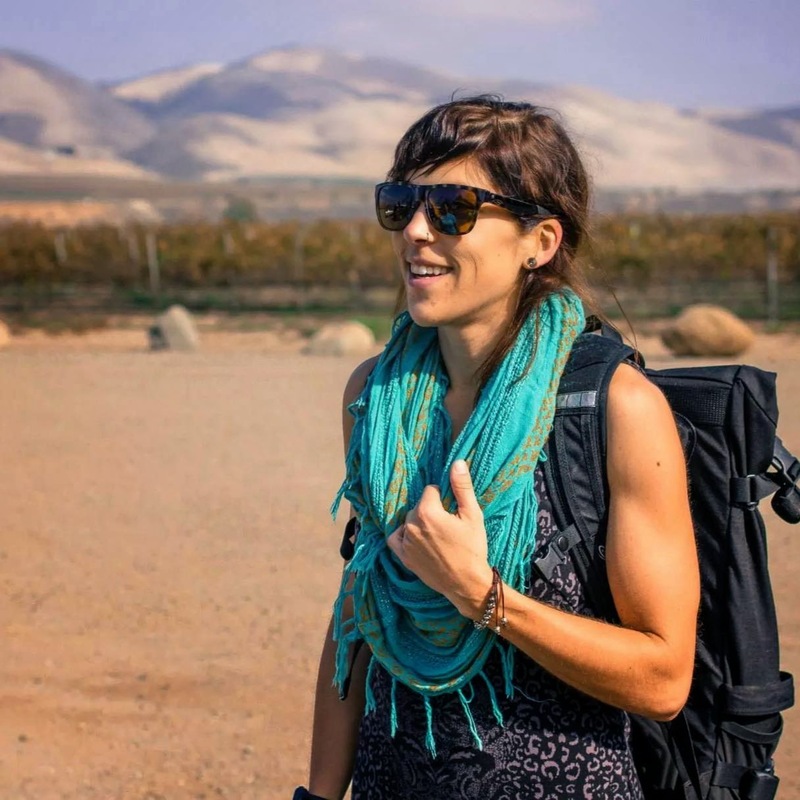 These are my adventures in cooking, eating, running and sharing plant-based, whole-foods meals. Here, you'll find nutritious vegetarian recipes and musings about fueling my life with running, fitness, soccer fanaticism, and food with friends. The Cookies That Might Kill Me. When you're up, you're up. And when you're down, you're down.